Jason has made his presence known most significantly through absence. He’s pared it all down. His given name is John Arne Sæterøy but, in the style of many great European comic book artists (Peyo and Mœbius, for example), he goes by a single name. His name reflects his minimalist artistic style. He is a master of the ligne claire style, which, as you may have surmised, means “clear line”. The granddaddy of the ligne claire is Hergé, the one-named Belgian comic book artist who wrote The Adventures of Tintin from 1929 to 1976. 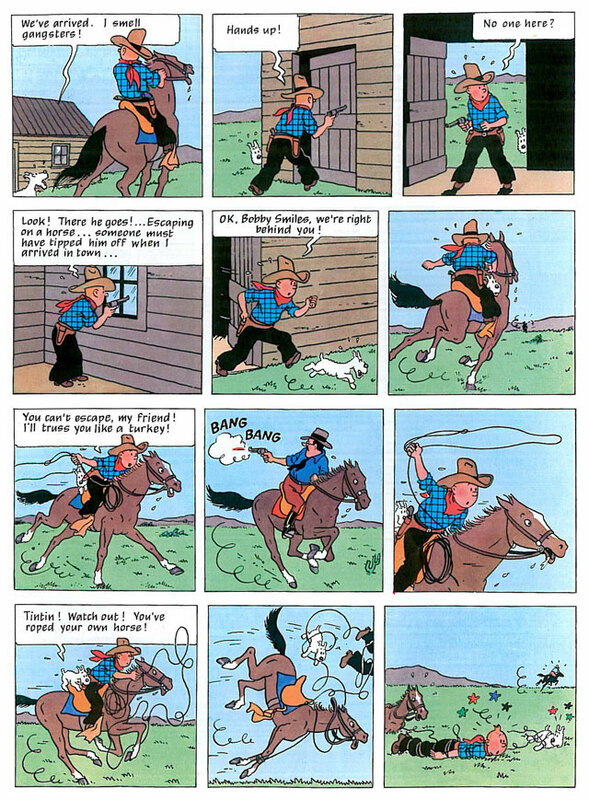 Tin Tin comes alive by grace of heavy lines, saturated color blocks, and decluttered scenes. 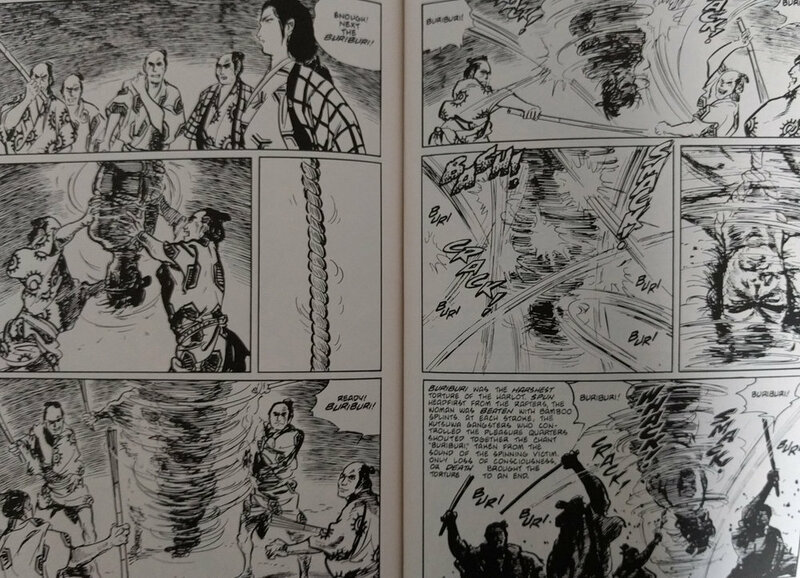 Compare that with the realistic shading, delicate lining, and busy motion-heavy scenes more typical of a lot of American and Japanese comic books, for example. Writing over 60 years after Hergé, Jason further clarified the ligne claire. His scenes are stripped down and set against backgrounds that are often solid blocks. His colors are muted, or turned off completely. He’s also built on the ligne claire with what I’m going to call the mot clair to mean an economy of words. Take, for example, the strip below, reproduced in its entirety. Aside from three repeated onomatopoeias there are only three words in the strip. The strip is mostly white on a mostly white background with details only where necessary. There are no bystanders, no cars, no other features aside from a few bricks and lines to indicate that the kids are outside. The subject matter of Jason's comics varies widely. For example, he writes about a man who travels through time to assassinate Hitler, about a thief who poses as a werewolf only to be hunted down by actual werewolves, and about the longterm ramifications of childhood tragedy. Jason's comics are going to make you work. It's up to you to fill up a lot of linguistic, visual, and emotional space. In addition, you're going to have to straighten out some highly fractured timelines. For instance, "If You Steal" (from which this post's lead image is taken) presents past, present, and future timelines woven together until they all culminate in a pivotal mid-point. To further complicate things, Jason intersperses the narrative -- which is about an inveterate thief -- with vaguely unsettling homages to Magritte paintings. 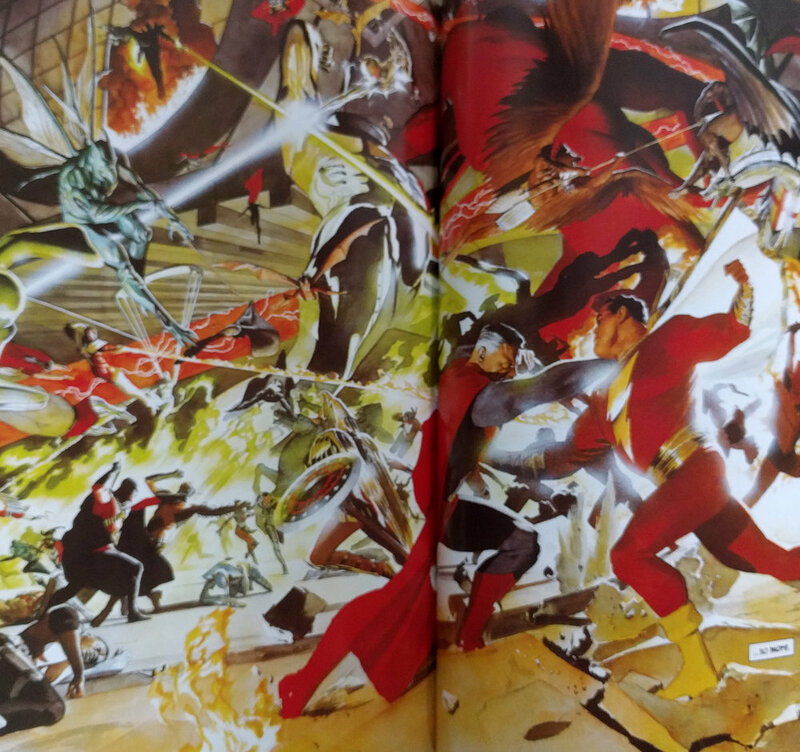 The simplicity of Jason's comics allow for conceptual complexity that would be lost in busier presentations. The work is beautiful artistry that provides space for us to make it our own and to get a little closure while we're at it.